Finally, I have a result on whether it is more cost efficient to run PULP or E10 petrol in my Toyota Prado — the E10 wins! After more than 26,000 of driving during the last 19 months, I wanted to give an update on my petrol engine 120 series Toyota Prado’s fuel consumption and economy. (My original statistics and article is here). During this time I have averaged 14.8 litres per 100 kilometres of driving using premium unleaded petrol (PULP RON 95 or 98 octane), E10 (RON ~94 octane) and unleaded (RON 91 octane) fuel, on road and off road, city and highway driving using fuel from Shell, BP and 7 – Eleven service stations. I began monitoring my fuel usage when I purchased the Toyota Prado to try to determine whether it was more economical to use E10/regular unleaded petrol (RON 94 or 91 octane) or premium unleaded petrol (RON 95 or 98 octane). Across the period, the PULP 98 was consistently 16 cents per litre more than the E10, while the PULP 95 was 12 cents per litre more expensive. Unleaded petrol was 2 cents per litre more expensive. The full data is available in the linked spreadsheet. Note that the spreadsheet provides two sets of averages. The green shaded averages are the average of the total fuel consumed divided by the total distance travelled. This is the most accurate calculation. The blue shaded averages are a simple average calculation of the fuel consumed divided by the distance travelled for each tank of fuel. The two fuel economy averages are similar, but not exactly the same. Most of my daily driving is in the city. My Toyota Prado is used to drop and pick up my kids at school a couple of kilometres away twice a day, five days a week. Most of the other city driving I do is within 10 kilometres of my house. Around once every four to six weeks, I also drive to the Sunshine Coast, which is about a 200 kilometre return trip of mostly highway driving. Most of my fuel consumption was E10 or PULP 98. I only re-fuelled once using standard unleaded (RON 91 octane), while I have re-fuelled using PULP 95 twice. On the surface, it seems that the PULP gave me 12.3% better fuel economy, but the cost premium was a maximum of 10.8% more (RON 98 octane). What this does not account for, is that I travelled 6,900 kilometres of mostly highway cruising on my holiday to Tasmania and back, and for a few weeks on my return. 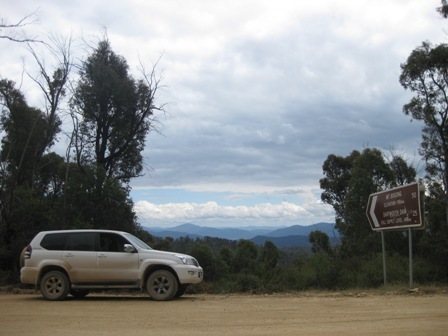 I also had a short off road 4WD trip and a week of sitting in the car with the engine running and air conditioning on (don’t ask). These aberrations have skewed the results. If I take out the aberrations (shaded grey on the spreadsheet), the results are reversed. I only got a 5.8% economy benefit by using PULP (mostly RON 98 octane), but it cost me a minimum of 8.2% extra (RON 95 octane) to run PULP. So we have a result. Assuming your driving habits are similar to mine, if your PULP fuel is more than 5.8% more expensive than E10, it is cheaper to run the E10 petrol in your Toyota Prado! Of course, that does not take into account the fuel companies’ claims that PULP extends your engine life, but that is an entirely different story. I’m very pleased with your research and results. Well done. I have a 2004 model prado and have been advised by Toyota to not run it on E10 fuel. I understand that you own a 2005 model. I am assuming there aren’t many differences between the build dates and am hoping you could shed some light on this subject. I have been running my prado on E10 and would like to continue doing so. On what basis was Toyota recommending not running your 2004 Prado on E10? I have been using E10 in my 2005 Toyota Prado for about 30,000 km now. I have not had a problem, but perhaps in another 100,000 km? Who knows. These things tend to accumulate over time. One thing that I did notice on my last road trip between Brisbane and Melbourne was that the E10 in southern states had a lower RON 91 octane. When I did my research and maths, the E10 I was using in Queensland was RON 94 octane. Thanks for replying, much appreciated. According to the technician at Toyota whom I spoke to, unless I had a sticker on the fuel filler door stating that the vehicle is E10 compatible, I should not run E10. He also added that E10 is corrosive, that it would loosen and shift the gum/deposits inside the fuel tank and lines and that this would have a negative affect on the engines operation. It is due to your findings that I have decided to run E10 in my prado, it makes sense. So far I’ve only run a few tank fulls. I am sceptical that E10 can be harmful to my vehicle but like you, accumulated kilometers might tell another story. I have just bought a 98 petrol prado thats done 180,000 km, its in beautiful condition, fuel consumption is up, but then we live remote in nt and need to hit 140km to pass roadtrains and we always use aircon. My parents had the same rebuild needed when their vw golf was all blocked up after 5 years of E10. The repairs, towing and hire car came to the same value as their 8 year old car. It is about time that tests were done on all car models to prove the efficiency and cost saving for all types of fuel. Why isn’t it done? People are being prevented from knowing the real truth. The whole ethanol move is a lie! Do you really think adding 10 per cent ethanol to dirty oil fuel makes any major different to carbon dioxide pollution? Come on now. Any idiot can see it has no significant effect. It is like adding 10 per cent water to your beer then complaining to the police at the RBT. It doesn’t solve the problem. Nice try but you failed to monitor speed, terrain, wind, and towing or load. All of these have a major impacts on economy. I have done extensive testing comparing 98 with 91 and it shows 98 is better than 10% fuel efficient. Who is right I am not sure but what I know is it is very difficult to accurately monitor fuel consumption. E10 is a dirty fuel. Increased tail pipe emissions and very bad for your engine.